novellas set in Iceland and has since turned to translation with four of Ragnar Jónasson’s Dark Iceland series published by Orenda Books. The fifth book of the series is due later this year, to be followed by two novels by Lilja Sigurðardóttir. Brothers Pictures Ltd, the company responsible for Fleabag and both series of The Missing on the BBC. Frances Fyfield spent much of her early professional life as a criminal lawyer, work which has informed many of hers. She has been the recipient of both the Silver and Gold Crime Writers Association Awards, plus the Roman Policiere award in France. She is also the Presenter of Radio 4’s Tales from the Stave a long running series looking at original scores of famous pieces of music alongside those who have performed them, from Porgy and Bess in Chicago, to The Lark Ascending in the London Library. Born in and educated in Derbyshire, she shed the rural life for a degree in English in Newcastle, and qualified as a solicitor in London in the 1970s. After many years of murder and mayhem, she realised she knew nothing about anything and better write about it instead. Perhaps the most consistent love affair of her life is her collection of British twentieth century art, featuring many portraits of women. No accident that her most recent series of novels feature nutty art collectors and the consequences of their obsessions. For which they would murder. Frances lives in London and in Deal, which is home, with a constant view of the sea. Paul Harrison is a retired police officer, with a successful career that spanned three decades. During that time, he worked on some memorable high profile investigations, and interviewed countless criminals who operated within the darker side of humanity. Paul began writing and had his first book published during his time in the police. Since then, he has gone on to write 34 books, mainly in the field of true crime. Now he has turned all that experience into writing crime fiction. On retiring from the police, he spent time working with the English Judiciary, at the Royal Courts of Justice, London, during which time, he gained what he describes as ‘an eye opening insight’ into what really happens behind the scenes of a criminal trial or civil hearing. David Hewson is the author of the four-part Pieter Vos series set in Amsterdam, three adaptations of the award-winning TV series ‘The Killing’ in Copenhagen, and the ten-book Nic Costa series set in Italy. His audio adaptations of Shakespeare, Macbeth, Hamlet and most recently Romeo and Juliet, narrated by Richard Armitage, have been shortlisted for Audies, the audiobook Oscars. His Dutch crime books are published simultaneously in Holland. The third, ‘Little Sister’, won the award for best translated thriller of 2016 in the Netherlands. Later this year (2017) his second dramatic adaptation of Shakespeare, a new take on ‘Romeo and Juliet’ will be produced by Audible Germany, a ten-hour audio expansion of both Shakespeare’s version and the original Italian sources of the story. A former journalist with the Times and Sunday Times David lives near Wye, Kent. Janet Laurence’s A Fatal Freedom, published in May 2015 by the Mystery Press, is the second in her Ursula Grandison Edwardian mystery series and she is now working on the third. She is also the author of the Darina Lisle culinary and Canaletto historical crime series, and of Writing Crime Fiction – Making Crime Pay, published by Aber. 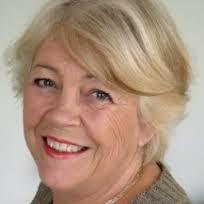 She regularly runs crime writing workshops and is currently Chairman of the CWA International Dagger judging panel. Andy Lawrence is a commentator on European films, TV, and literature. A longstanding appreciation of European culture started at an early age after seeing The Singing Ringing Tree and Kenneth Williams read Nils-Olof Franzén’s Agaton Sax stories on Jackanory. He has written for Scan Magazine, Nordic Noir and Beyond and academic journals. He is currently researching a book on Nordic cinema. He runs the blog Euro But Not Trash ( https://eurodrama.wordpress.com/ ). He is @AndyLawrence5 on Twitter. Ayo Onatade is a commentator on all things crime fiction related. She has been reading crime fiction for over forty years. She also writes articles and gives papers on all aspects of the crime and mystery genre. She is a member of the Crime Writers Association of Great Britain (CWA) and is currently Chair of the CWA Short Story Dagger. She also writes for Crimespree Magazine and is currently one of the Judges for the Nagio Marsh Award. She can also be found reviewing at Shotsmag.co.uk and runs the Shotsmag Confidential blog (Shotsmagcouk.blogspot.co.uk). When she is not involved in crime fiction then she works with senior judges at the Supreme Court in London. Leigh Russell is the author of the internationally bestselling Geraldine Steel series: Cut Short, Road Closed, Dead End, Death Bed, Stop Dead, Fatal Act, Killer Plan and Murder Ring. Cold Sacrifice, the first in a spin off series featuring Ian Peterson, was published in 2013 followed by Race to Death in 2014 and Blood Axe in 2015. Cut Short was shortlisted for a CWA Dagger Award, Stop Dead was a Finalist for The People’s Book Prize, and her books are frequently #1 on Amazon Kindle and iTunes. She is published in the UK by No Exit Press, by HarperCollins in the USA, Bastei Lubbe in Germany and also in French, Italian and Turkish. Leigh studied at the University of Kent gaining a Masters degree in English and American literature. For many years a secondary school English teacher, Leigh now writes full-time and teaches creative writing. She is married with two daughters and lives in north west London. “William Shaw is, quite simply, an outstanding storyteller,” says Peter May. Shaw’s fourth novel, The Birdwatcher, set on the Kent coast, was picked by The Telegraph as one of their best new crime books of 2016. The story of a policeman who is forced to confront the darkness of his own past during an investigation into the killing of a neighbour, The Sunday Mirror called the book “utterly compulsive.” Barry Forshaw, writing in The Independent, said, “The Birdwatcher is Shaw’s most accomplished book yet, and a demonstration of why so many of his fellow writers have lined up to praise him.” Until turning to crime writing, his best-known book had been Westsiders, the non-fiction account of a year spent among the young men of South Central Los Angeles. Patrick Neate, writing in The Guardian, picked it as one of the ten best books ever written about hip hop. In May, riverrun publish the fourth in his Breen & Tozer series of detective fiction novels set in the late 1960s, Sympathy for the Devil. The first, A Song from Dead Lips was nominated for a Barry Award; the third A Book of Scars, was a runner up in last year’s CWA Endeavour Historical Daggers. Sympathy for The Devil is set in the summer of 1969 and opens with the death of a former Rolling Stone. Craig Sisterson is a lawyer and features writer from New Zealand, now living in London. He began devouring mystery tales as a child, starting with the Hardy Boys, Poirot, Sherlock Holmes, and Agaton Sax. Over the past few years he has reviewed several hundred crime and thriller novels for dozens of national and regional newspapers, lifestyle and specialist magazines, and websites in Europe, North America, and Australasia. Craig loves talking with others about crime writing, and has interviewed almost 150 authors, onstage or for print and online features. He has appeared at numerous books festivals, spoken on national radio about the genre, and is the founder of the Ngaio Marsh Award for Best Crime Novel. He is also the creator of the Crime Watch blog, and the ‘Murder in the Library’ event series in New Zealand. Nicola Upson was born in Suffolk and read English at Downing College, Cambridge. She has worked in theatre and as a freelance journalist, and is the author of two non-fiction works and the recipient of an Escalator Award from the Arts Council England. Her debut novel, An Expert in Murder, was the first in a series of crime novels whose main character is Josephine Tey – one of the leading authors of Britain’s Golden Age of crime writing.